We are eightspace. 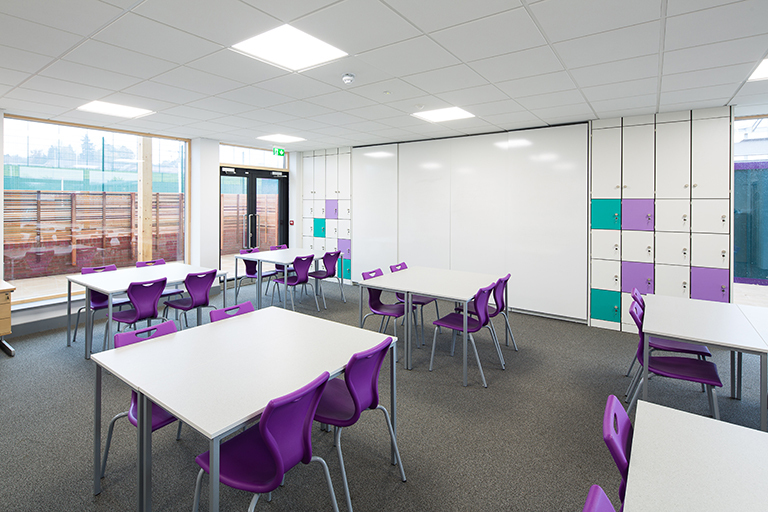 A furniture and interiors company servicing the educational and commercial sectors. We work together as a close knit team valuing our family heritage and promoting mutual support. 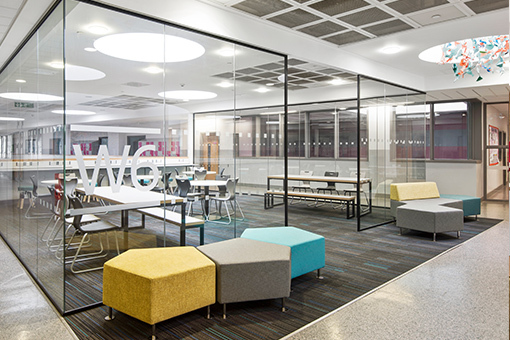 For learning and working environments to be inspiring and practical and to enhance education, performance and staff well-being. 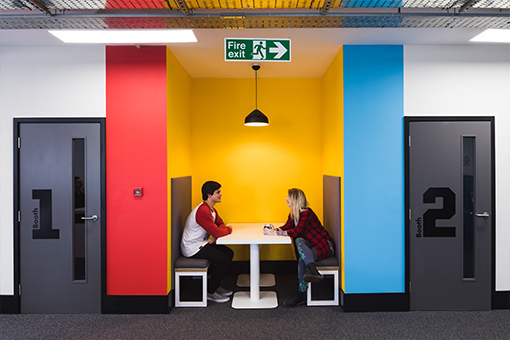 To work as a trusted partner with our Clients using our expertise and creativity in the workplace and educational interiors sectors, we will create vibrant & productive learning and working environments. Respect; for other persons, their property and feelings. Integrity; Honesty, truthfulness and loyalty. Diligence; hard work and time-keeping. Professionalism; dress, demeanour and language. Continual improvement; better not bigger. 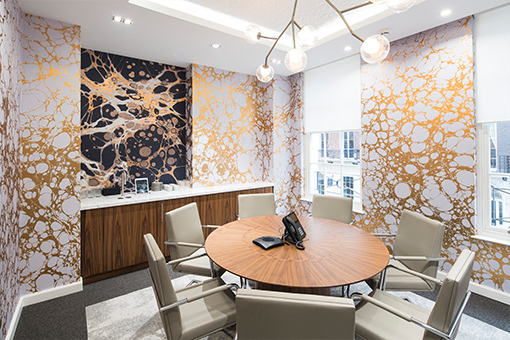 Office Profile specialise in workplace consultancy, office design, office fit-out, refurbishment and relocation. 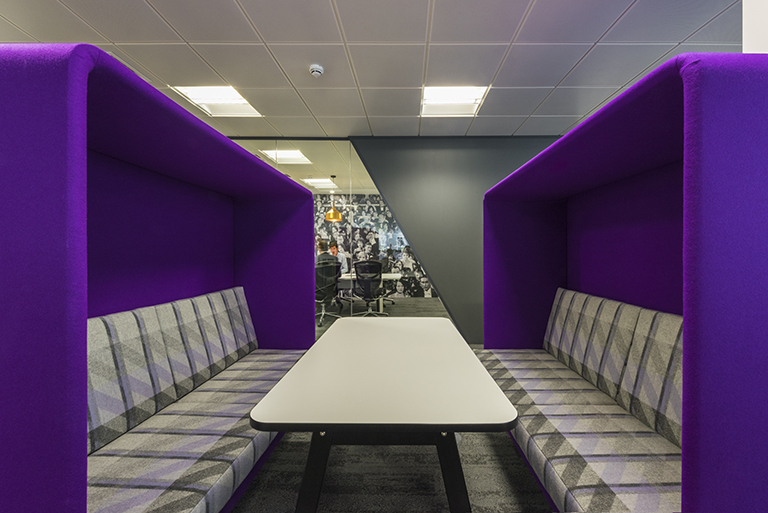 We can optimise your workspace to improve your business performance. 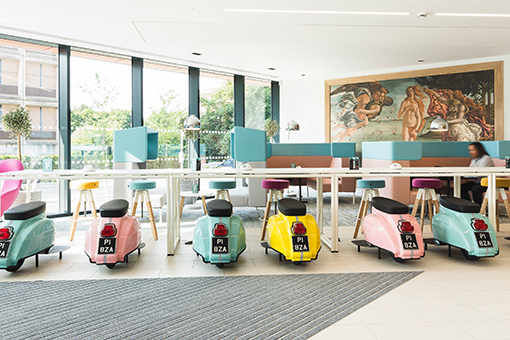 We create inspiring work environments that promote efficiency, positivity, creativity and reduce absenteeism. 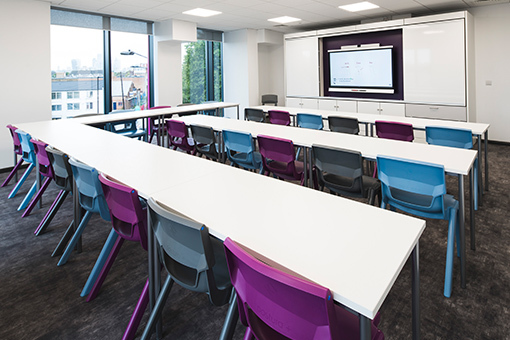 Pinnacle Furniture is dedicated to providing innovative furniture and refurbishment solutions for education. 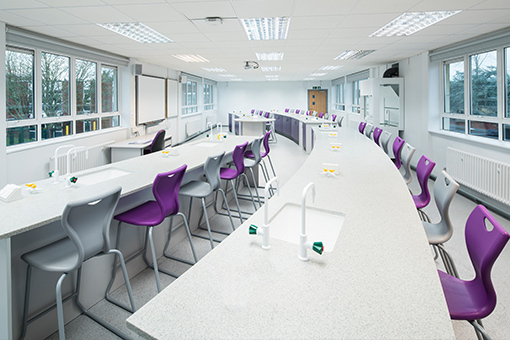 We design and deliver projects in all learning areas including Classrooms, Science Laboratories, Technology, IT Suites, Libraries, Washrooms and 6th Forms. 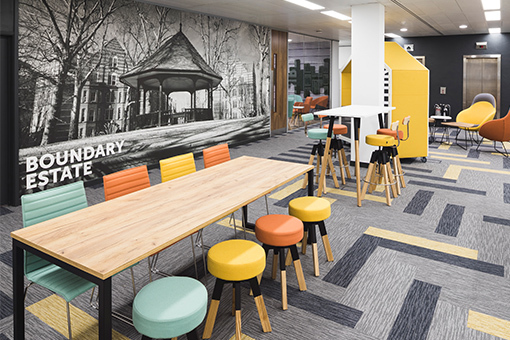 We set out on a mission to improve learning and office spaces and bring them to life. We’re now regarded as experts, but how did we reach where we are? 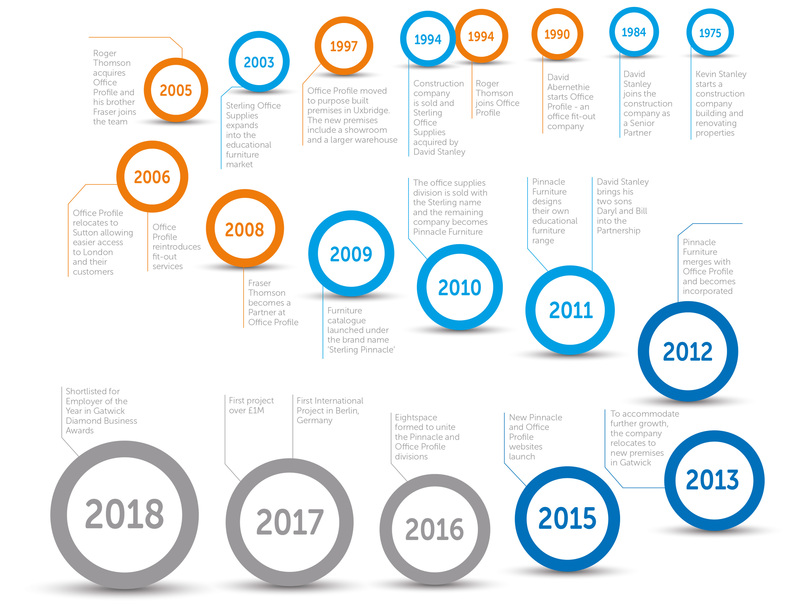 Take a look at our timeline to see how we became eightspace. Our people are our biggest asset. 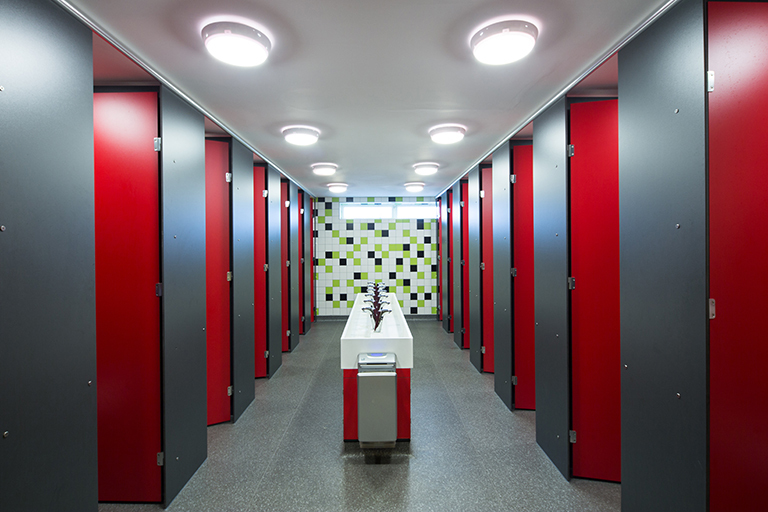 We have a very talented and dedicated workforce with the skills to rise to any occasion. We continually strive for perfection in all we do, and through teamwork we are improving our services to our clients every year. 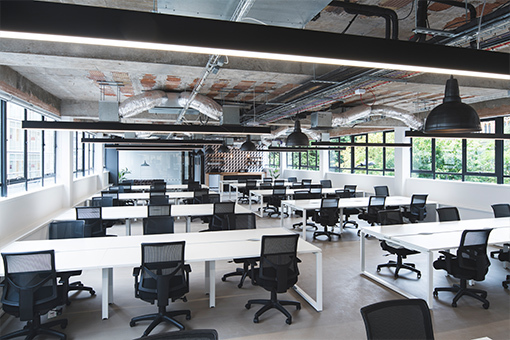 Rest assured that our great team will work together seamlessly to care for your project from concept to completion. Colin is one of our very dedicated eightspace project managers and is a bit of a workaholic. So much so in fact that he often takes his laptop and site drawings with him into the shower. When Anthony, our Production Manager, isn’t hard at work in our warehouse, he enjoys painting fine works of art. His most famous piece is entitled, ‘Polar bear eats marshmallows in snow storm’. Andrew is such an accomplished salesman that he has successfully managed to sell ice-cream in Alaska, mittens in the Amazon and hairdryers to the International Bald Men’s Association. Dan manages our marketing material including our websites and blogposts. His real passion however is for the cinema, and to make him feel more at home we ensure the carpet around his desk is constantly sticky. Dave is both the literal and metaphorical father figure of the office. He is also responsible for, and relied upon, to let us know when it’s Friday, without which we would surely work through till Saturday. As well as supporting the Sales Team, Emma is our multi-talented musician and baker! Her specialty is desserts; she’s been known to whip up a chocolate and pecan tart whilst playing Beethoven’s Fifth Symphony on the piano. On top of impressive financial management skills, Garth has extensive knowledge of lateral thinking puzzles, taxidermy and the exploits of Archibald Haddock. Kasia is a very hard working member of our team, working in support of furniture sales and also heading up our in house cake investigation unit. They are currently investigating the disappearances of two chocolate fudges and a coffee and walnut. An avid footballer, Truan made his debut at Eightspace in June 2018 joining the Operations Team. He is often seen tackling logistical issues to keep the ball rolling (all puns intended). When Dan isn’t writing up comprehensive quotes for customers, he can often be found playing the drums for the amusement of one or more intergalactic warlord’s. Frasers original brand of easy going nature inter mixed with witty quips has had such a positive influence on the office, it is now available as a twelve part self-help course on cassette. Lucy is a crucial member of the accounts team and spends some of her time dealing with HMRC, much to her dismay. She has in fact become such a good negotiator that she is often called in to assist in the odd hostage situation or embassy siege. It is a little known fact that aside from managing projects for eightspace, Philippa is a member of a secret and very ancient society of furniture designers, who are said to have created the very first sofa-bed way back in 1264 AD. Typically, our purchasing manager Russell is calm and collected. However it is said that when the moons of Venus are perfectly aligned he begins to run around the office excitedly and jump onto the furniture. Sam’s project support skills will ‘bowl’ you away. That’s a pun. We should probably mention that she’s good at bowling. By day Vithi works in our accounts department but she also leads a secret life as an adventurer and obtainer of rare antiquities, whose travels have taken her as far as Eldorado and the lost city of Atlantis. Being at the helm of Office Profile takes a lot of dedication and hard work especially at networking events. Just imagine the amount of champagne you’d have to drink. Bill manages to endure it, all for the greater good. Jenna leads our design department here at eightspace with a wealth of interior design knowledge. She is also fond of gardening and judging twirling and hopes to combine the two. We look forward to seeing vegetable dancing on our screens soon. Angi helps ensure Office Profile projects run smoothly and efficiently. She has already swapped all company car tyres to super softs and managed to reduced pit stop times when out on appointments down to 3.2 seconds. Saffron is a hardworking and mild mannered member of the estimating team who also bears a suspiciously striking resemblance to the local masked vigilante and heroine ‘El Saffrone‘. Having a fitness trainer as a husband keeps Paula fit and healthy enabling her to stay on top of our deliveries & contractors in her role as Project Support. The weekly spinning classes are paying off with all the running around the warehouse she does. Maria, dedicated to Project Support, will always go the extra mile – on her motorbike. You’ll often catch Maria racing around the office on her motorbike to ensure that our projects are always completed on time. Don’t be surprised if our fencing superstar arrives to a meeting in full duelling kit! While a little unusual this approach seems to work as she pulls in the leads for the Business Development Team – she insists it isn’t at all threatening! Need a new jumper this winter? Speak to Gilly in the Business Development Team, she is offering all her new leads a pair of gloves and a matching scarf as modelled by her Cockapoodle. Our South African Finance Director is a whizz with numbers, particularly air miles! If not with his family travelling around South Africa or Lapland, he can be spotted in our Gatwick office watching the planes and trying to decide his next destination! When not managing projects, Matthew likes to coach his son’s rugby club, defend his STRAVA KOM, and drink whisky, although he hasn’t managed all three at once yet. 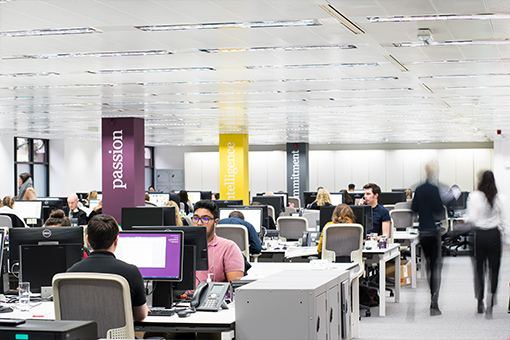 2017 was an exciting year for Office Profile, completing some out-the-box design focused projects for clients such as RocketMill, Voom (Virgin Business), William Alexander and Techstars. 2018 promises to be even better! 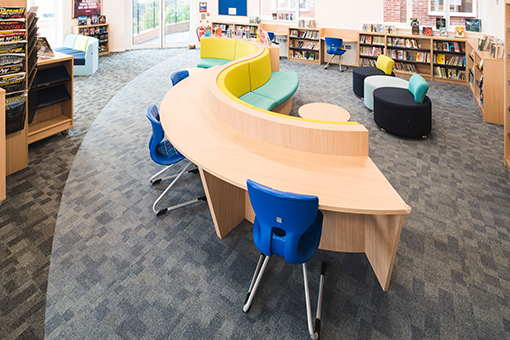 Enchanted Forests and Dr Seuss libraries were just some of the inspirations our Design Team used in 2017 to bring learning spaces to life. 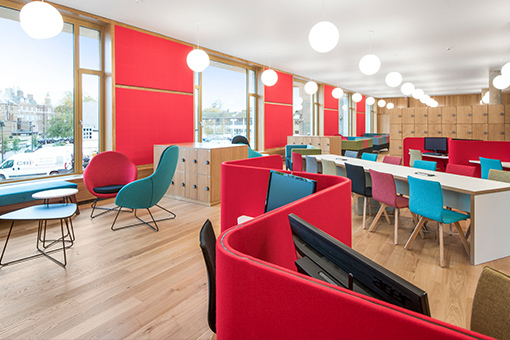 Keep an eye out during 2018 for more vibrant and productive environments!